Xavor helps organizations build a Digital Workplace platform using Microsoft Office 365 and SharePoint to reimagine how to generate value and deliver better business outcomes. Xavor offer comprehensive ECM solutions that cover every aspect of the lifecycle including Capture, Store, Process, Manage, Deliver, and Preserve. Xavor's SharePoint Managed Services are designed to keep your SharePoint and Office 365 productivity platform optimized. Whether you are moving to the cloud, upgrading your SharePoint version or moving to SharePoint from another system, Xavor has you covered. Xavor's SharePoint Apps allow you to engage with your customers, partners and employees. 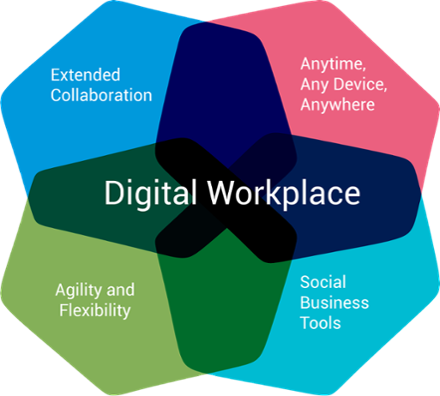 Xavor's strategy and roadmap services for Digital Workplace offer practical steps to get you started and convert your vision into a real advantage for your business.